The green season continues. 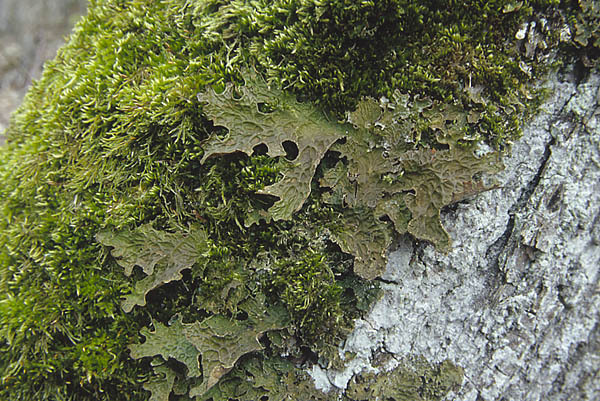 Lung lichen is large-lobed, the upper surface veined with a pattern of ridges and depressions, a leaf-like thallus a little brownish in colour. Seen from above it reminds of lung tissue that we may remember from the anatomy pictures at school. Pretty and special to look at, easily recogniseable, grows on tree trunks. Occurs in a number of locations, and is a protected species. Because it reacts to environmental pollution it is becoming rare in Europe. 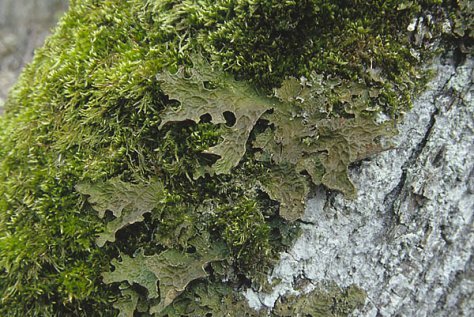 Reasonably certainly lung lichen can be found on aspen trunks and many other tree species in old forests. Old cemeteries are favoured habitats.